Meal Time: Does It Matter What Time You Eat Your Meals? Continuing our focus on heart health this month, a new report from the American Heart Association suggests that the timing of your meals may have an impact on the health of your heart. For example, eating most of your calories earlier in the day, and aiming to have a long period of fasting overnight, appears to allow your body to better metabolize your food and thus be healthier for your heart. 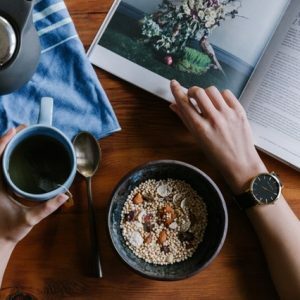 While it’s essential that you regularly eat a healthy diet, it now appears that there are also health benefits from scheduled meals at regular intervals. While more research needs to be conducted to better elucidate these connections, this is another promising direction to help you improve your heart health. Read more about this new report Here.